PhD Scholar of Physiotherapy : Doing PhD in Physiotherapy from Maharashtra University of Health sciences (MUHS) Nashik. Registered in School of physiotherapy and centre seth. G. S. Medical College and KEM hospital Mumbai. Developed the clinical tool for quantitative gait analysis(CTQGA) . In Phd Thesis testing reliability and validity of the 2D gait method CTQGA. Master of Physiotherapy (Neurosciences) in June 2007 from Sancheti Institute College Of Physiotherapy, Pune Maharashtra University Of Health Sciences (MUHS), Nashik India. Pune University topper in Master Program 2007. Bachelor of Physiotherapy in July 2002. From CMF’ College Of Physiotherapy, Pradhikaran, Nigdi , Pune. Maharashtra University of health sciences (MUHS), Nashik India. 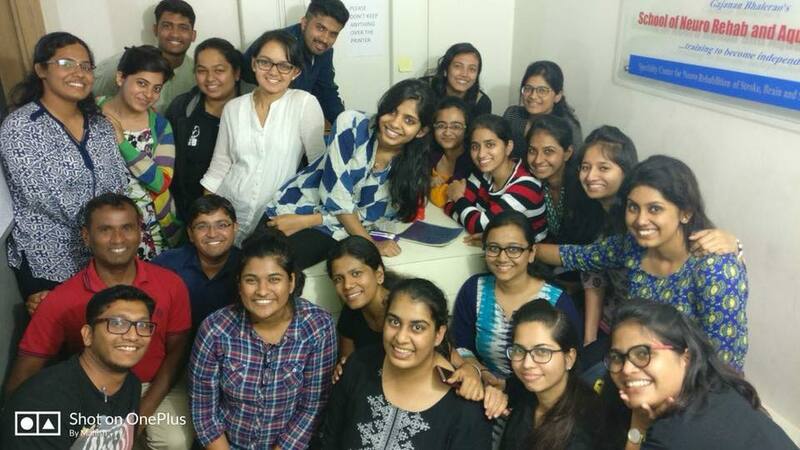 Certified training in Basic and Advance Medical education teaching technology organized by Maharashtra University of health sciences Nashik at medical education technology (MET) cell Pune. 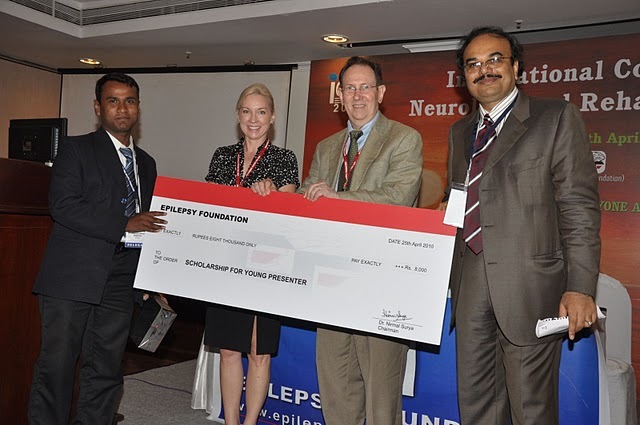 Indian federation of Neurology and Rehabilitation, branch of world federation of Neurology and Rehabilitation. The Indian Association of Physiotherapy, Pune branch. Life member, & Executive Committee member for 2005-2011. Presented Paper On “Correlation of kinematics of knee in different phases of gait cycle with Tardieu’s R1 and R2 and popliteal angle in children with cerebral palsy: using digital goniometry and cinematography”. In annual conference of Indian acadomy of cerebral palsy, Jabalpur 2010. Winner of best paper award in engeering and technology catgory in avishkar 201o of Maharashtra University of health sciences (MUHS), Nashik India. For presenting the scientific paper on “correlation of kinematics of knee in different phases of gait cycle with Tardieu’s R1 and R2 and popliteal angle in children with cerebral palsy: using digital goniometry and cinematography. Winner of second best paper award in overall medicine faculty in avishkar 201o of Maharashtra University of health sciences (MUHS), Nashik India. For presenting the scientific paper on correlation of kinematics of knee in different phases of gait cycle with Tardieu’s r1 and r2 and popliteal angle in children with cerebral palsy: using digital goniometry and cinematography. Winner of second best paper for scientific paper presentation on “Comparison of two physiotherapy approaches in acute stroke rehabilitation: Motor Relearning program versus Bobath Approach” in AVISHKAR 201o of Maharashtra University of Health Sciences (MUHS), AURANGABAD, India. Two day Workshop on Task specific training in neuro rehabilitation, on 30 sept and 1st oct 2013, at Mission health physiotherapy center Ahmadabad, Gujarat 2013. Workshop “Stroke Rehab” for final year student of BPT, organized by Sancheti healthcare academy on 8/8/2015 , at Sancheti Institute College of physiotherapy. Workshop on Motor Relearning program for stroke Rehabilitation at Youth Men Christian Association (YMCA), Pune, on 29th& 30th of March 2007. Workshop Motor Relearning program for stroke Rehabilitation organized by Indian Association of Physiotherapy Pune & Pimpri Chinchwad Branch on 27th &28th November 2010, at Sancheti Institute College of physiotherapy 2010. Workshop Motor Relearning program for stroke Rehabilitation, organized by Sancheti healthcare academy on 16th& 17th November 2014, at Sancheti Institute College of physiotherapy 2014. Workshop Neuro Therapeutic Approaches in Neuro Rehabilitation: Part I- Proprioceptive Neuro Muscular Facilitationorganized by Sancheti healthcare academy on 13th Sept 2014, at Sancheti Institute College of physiotherapy 2014. Workshop Proprioceptive neuro muscular facilitation (PNF) on 23rd August and 13th September 2015 , organized by Saiffy hospital , at Saiffy hospital Mumbai. Workshop on 2D & 3D Gait Analysis And Management Of Gait Deviations organized by Indian Association Of Physiotherapy Pune & Pimpri Chinchwad Branch on 27th & 28th November 2010, at Sancheti institute college of physiotherapy 2010. Two day Workshop Spinal cord injury Rehabilitation, organized by Indian Association of Physiotherapy Pune & Pimpri Chinchwad Branch on December 2010, at Sancheti Institute College of physiotherapy 2010. Workshop Spinal cord injury Rehabilitation, organized by Sancheti healthcare academy on December 2012, at Sancheti Institute College of physiotherapy 2012. Workshop Spinal cord injury Rehabilitation on organized by Sancheti healthcare academy on August 2014 at Sancheti Institute College of physiotherapy 2014. Workshop “Spinal cord injury and rehabilitation” for final year student of BPT, organized by Sancheti healthcare academy on 18th and 23rd September 2015 , at Sancheti Institute College of physiotherapy. Workshop on NDT/ Bobath approach workshop for 3rd Year BPTh on August 2015 Workshop “Neuro developmental therapy (NDT)/Bobath” for third year student of BPT, organized by Sancheti healthcare academy on 22/8/2015 , at Sancheti Institute College of physiotherapy. Three days 2D and 3D gait analysis workshop by Dr. Abhay Khote (Consultant Orthopaedic Surgeon at The Royal Children’s Hospital Australia) and Jill Rodha (Physiotherapist Australia) from Hugh Williamson Gait Analysis Laboratory gait lab team organised by Rehab department of Kokilaben Ambani hospital at 3D Gait lab of Kokilaben Ambani hospital Mumbai in 2011. Seven days advacne work on rsearch methodalogy for Pre Phd training.16thApril to 22nd April 2014, organised by MUHS Nashik at MUHS nashik. Research methodology workshop by MUHS Nashik at Regional centre Medical education technology (MET) cell Pune 2012. Three days Basicworkshop on Medical education technology by Maharashtra university of health sciences MUHS Nashik at Regional center Medical education technology (MET) cell Pune 2012. Seven days advance workshop on Medical education technology by Maharashtra university of health sciences MUHS Nashik at Regional center Medical education technology (MET) cell Pune 2013. Workshop of social media and networking organised by Sancheti healthcare academy. This workshop was training of how to use social media and blog. Gajanan Bhalerao, Vivek Kulkarni.Comparison of Motor Relearning Program and Bobath Approach in acute stroke rehabilitation. Indian journal of orthopedic and rehabilitation. Vol 1. 2010. Gajanan Bhalerao, Shanita Fernandes, Rachana Dabadghav, NilimaBedekar, Ashok Shyam, Parag Sancheti. Current practice and concept of voluntary control and its clinical application among physical therapist.Accepted for publication in Indian Journal of occupational & Physical Therapy. Gajanan Bhjalerao & Shah Hetali.. Perspective of neuro therapeutic approaches preferred for stroke rehabilitation by physiotherapists.Accepted for publication in Indian Journal of Physiotherapy and occupational Therapy. Bhalerao Gajanan, Koli Vibhavari. Correlation between voluntary control in lower limb and gait parameter in patients with chronic stroke.Submitted to Journal of Stroke & Cerebrovascular Diseases. Bhalerao Gajanan, Koranne Niyotee & KulkarniHarshal. Factors affecting functional independence and quality of life in chronic traumatic spinal cord injury patients. Submitted to Int J of Health Care Quality Assurance. Bhalerao Gajanan & Nair Sneha. Current clinical practices in hemiplegic rehabilitation among physiotherapists.Submitted to International Journal of clinical research and review (IJCRR). Bhalerao Gajanan & Patil Renuka. Immediate effect of shoe raise on unaffected side on spacio temporal parameters and physiological cost index in hemiplegic-Pilot study. Submitted to International Journal of clinical research and review (IJCRR). Bhalerao Gajanan & Fadnavis Rajashree. Relationship of quality of upper limb function to manual ability, gross motor function classifications and self care skills in children with spastic diplegia. Submitted for Indian J of Pediatrics. Bhalerao Gajanan & Parab Dhanashree. Current clinical practices and teachings in hemiplegic rehabilitation in Physiotherapy educational institutes of Maharashtra. Submitted to International Journal of clinical research and review (IJCRR). Jajoo Prachi & Bhalerao Gajanan. Comparison of HABIT and modified HABIT in children with hemiplegic cerebral palsy. MPT Neuro Dissertation Project of MUHS Nashik. Parab Dhanashree & Bhalerao Gajanan. Effect of use of shoe raise on uninvolved leg with Motor Relearning Programme on ambulation in chronic stroke. MPT Neuro Dissertation Project of MUHS Nashik. Motwani Shalaka & Bhalerao Gajanan. Comparing the efficacy of various lower limb orthosis on gait parameters in hemiplegic patients with genu recurvatum. MPT Neuro Dissertation Project of MUHS Nashik. Dunung Riddhi & Bhalerao Gajanan. Comparison of balance, and gross motor development in school going children: rural versus urban population. MPT Neuro Dissertation Project of MUHS Nashik. 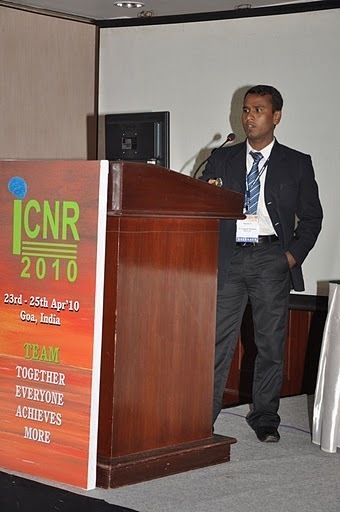 Presented scientific paper in International congress on Neurology and Rehabilitation (ICNR) 2010, Goa and got Young Presenter’s Scholarship Award in the same conference. Presented scientific paper in international conference, AWP WCPT IAP conference Mumbai2009. Presented scientific paper in AVISHKAR Inter-University competition at state level in Solapur 2009. Presented scientific paper in Indian academy of cerebral palsy, Jabalpur 2010. Dr. Gajanan Bhalerao (PT) with Dr. Arun Jamkar Vice chancellor MUHS NAshik. Hi Gajanan.This is radhika kashikar. I am very pleased to see this site as I know we can be in touch and discuss our experiences with neuro physiotherapy. Hi Sir, …. this website is really very nice …n as usual i want to share lot of experiences and also difficulties with u…..now i can easily discuss with u…. Hello sir, This is a really nice site. As i m doing my masters in neuro, i can share my doubts with you through this site. Thank you sir. please do ask any queries about any topic. do write ur comments and suggestions in each blog. All the best for ur Future Plans..
hi sir, hetal here attended your sci rehab workshop in pune and it is really helping me… vry happy to see this blog so as to be able to share my doubts with you… looking forward to it… thanking you.. Thank you very much hetal, please feel free to ask your que. Dear Iman, i would suggest that you come and meet me for discussing the same. i AM working in Sancheti Hospital Physiotherapy Dept, HOD. i am giving you names of some institutes, Spastic school, near Khadak Police chouki, Mandai. INtervida School, Magarpatta, HAdpsar. Umang, AAdhar. don’t know their addresses. You can contact Different Hospitals who are Treating CP Child, i.e. KEM, Ruby,DHM, Sancheti, ADitya Birla, Sanhyadri, Puna hospital. I am suffering from writers cramp ,can you please suggest some treatment for the same. I am an Occupational Therapist in the USA. I recently saw your taping technique and would like to know which type of tape you use and if I am able to purchase it in the USA? I work on a brain injury unit and treat patients recovering from TBI and stroke. I currently use rigid leukotape or Kinesotape-but am in search of a better method. Have you found any sucess in various types of shoulder slings or support systems? Rigid tape is better in these conditions. in India we have this elastic dynaplast adhesive tape. which we are using. The right answer to your question will- it is not the tape matter a lot but the technique of application, selection of patient, covering the medial border of scapula partly and partly para spinal muscles. aim of para spinal tape is to activate para spinal muscles and and sub scapular muscles for stability during dynamic mobility. second tape acts as suprispinatus muscles for gleno humeral stability during shoulder movement. i suggest you should use taping as adjunct to support during active exercise and movement of shoulder than just a support during rest. Shoulder sling is not good. It restrict the shoulder movement and takes away the gravitation pull required for the activation of shoulder stabilizer muscle specially suprispinatus muscles. Instead of sling we use two braces commonly in hemiplegic and TBI shoulder. 1. vissco shoulder immobilizer brace. – it has all the adjustments a. suprispinatus pull – upward pull, b. strap around humerus to fit to any arm size c. strap around the chest to keep this brace in place. this is the link. 2. flemingo shoulder support – this doesn’t have adjustment. need to take according to patient size to be effective. I do not use a traditional arm sling, but rather shoulder supports as well. I have tried these 2 types- have you ever used them? The first one is a “homegrown” sling and some of my patients have found comfort with it. The second one does not allow the hand to be incorporated into tasks since the palm is around the circular grasp support. I will look into ordering the ones you mentioned to try with my patients. I am having trouble finding a way to order the Dynaplast tape in the USA. Dear Megan, both sling are good. I have not tried any of them. first one home made- it is good idea. but too big, involving both shoulder. so may be not acceptable by many patients. But it gives a free hand for activity, that’s the advantage here. Second – although the hand is not free but still it helps. limitation might be that u cant work on hand function with splint on, but this is a very good resting splint which can be used whole day while working, walking and moving around. it will help is taking away pain. There is one more advantage constant compression through hand to shoulder joint will help in improving joint proprioception and activation of scapular and shoulder stabilizers. I think, you thought process and objective need to be clear. Do you want on hand function while sling is on or you want to give sling during the day time for positioning and resting. This thing will help you in selecting the slings. I might use two splint one for resting sling one for working on hand during functional training. Overall, no sling is right sling. It just gives a window of pain free shoulder and little stability while training shoulder girdle control. I suggest we should work on improving shoulder control and stability as soon as possible and get away with splints/slings. I am writing a blog on how to improve shoulder girdle control in hypotonic and painful shoulder that might help. i will send you link of the exercises. check my you tube videos for other activities. hello gud evening sir i need some book reference for voluntary control grading. I saw u r blog where u had written its controvertial .I am working as sen lecturer at surat,had done my pg from PIMS loni 2006 2008 batch.Dr savita rairiker was my batchmate. I had also done my internship from sancheti in 2003. Sancheti is anice place to learn. hope to get reply from u soon.